That's all from the Business Live Page for today. Please join us again on Friday at 0600. The ride-hailing firm Lyft has priced its shares at $72 each. The shares start trading on the Nasdaq on Friday. That values the company at $24.3bn. Still a fair way behind main rival Uber which is valued at about $120bn and is due to float later this year. Staying with Turkey, the lira fell another 5% on Thursday prompting President Tayyip Erdogan to blame the currency's weakness on attacks by the West. A major liquidity squeeze pushed up borrowing rates for the lira on Wednesday ahead of municipal elections at the weekend. Liquidity returned on Thursday, allowing borrowing rates to fall, leading to the lira's slide. Senators have put forward a bill to block the delivery of F-35 fighter aircraft to Turkey. Turkey is a production partner in the trillion-dollar F-35 fighter jet program but Ankara also wants to purchase a Russian missile defense system. The US says taking the Russian S-400 air defence system would compromise the security of F-35 aircraft, which are made by Lockheed Martin. "The prospect of Russia having access to US aircraft and technology in a NATO country, Turkey, is a serious national and global security risk," said Senator Jeanne Shaheen. Legendary investor Warren Buffett says Apple - of which he owns shares worth $40.3bn - says the tech giant will have a fight on its hands as it moves into video streaming and new digital services such as gaming and finance. Speaking in Texas, the Berkshire Hathaway chairman said Apple "can afford a mistake or two" as it vies for consumers with Netflix, Amazon and Disney. But he said a decade from now, as the delivery of entertainment content improves, "the public will be the winner". Wall Street stocks closed higher following a recovery in 10-year US Treasury yields, after weakness in bond rates in recent sessions raised worries about slowing economic growth. The Dow Jones gained 0.4% to end the session at 25,717.4. The broad-based S&P 500 also advanced 0.4% to 2,815.4, while the tech-rich Nasdaq was 0.3% ahead at 7,669.1. Investors welcomed stabilisation in bond yields, which had tumbled over the last week. "The market was fearful that the Treasury yields were falling because of recession fears," said Karl Haeling of LBBW. "The end of the treasury rally took away some of the panic fear." 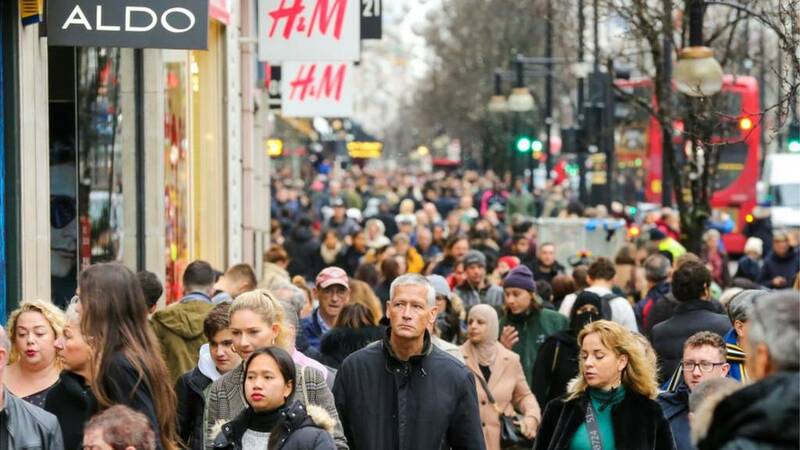 Earlier, the Commerce Department sharply downgraded the growth estimate for the final quarter of 2018 to 2.2% from the prior estimate of 2.6%, amid lower consumer spending and business investment. Trade talks between the US and China resumed in Beijing, although officials cautioned that there was still more work ahead before a deal is struck. White House economic adviser Larry Kudlow said the negotiations are not "time dependent" and could be extended. The talks are "policy and enforcement dependent" so "if it takes a few more weeks or if it takes months, so be it," Mr Kudlow said in a speech in Washington. T-Mobile fell 4.3% and Sprint 6.1% following a report their merger would be blocked by antitrust regulators. Fellow mobile phone giants Verizon and AT&T also fell. The family of a Rwandan man, who died in the Ethiopian Airlines 737 Max crash, is suing Boeing, the maker of the aircraft in Chicago. Jackson Musoni was one of 157 passengers who died in the crash on 10 March. The case alleges that Boeing defectively designed the automated flight control system. The system has come under increasing scrutiny in the wake of the crash which followed an earlier disaster involving a 737 Max in Indonesia. Wells Fargo chief executive Tim Sloan is stepping down from the US's fourth largest bank. He will retire in June. General counsel Allen Parker will take over as interim head until a permanent replacement is found. Mr Sloan took over from John Strumpf in 2016 after a series of scandals involving the creation of fake bank accounts. However, further scandals emerged on Mr Sloan's watch, including wrongly charging car insurance and foreclosing on homeowners. Talk that the athleisure craze - casual clothes for the gym and everyday wear - could be coming to an end may have been greatly exaggerated. Shares in athleisure specialist Lululemon Athletica jumped 15% on Thursday after a blow-out set of profit figures. The shares are now almost 39% higher over the year. The company, which has focussed heavily on womenswear, is now moving strongly into menswear, potentially challenging bigger rival Nike. Lululemon said group sales rose 140% in China over the past three months. Here's a fascinating little graph courtesy of Liverpool University academic Costa Milas. The professor of accounting and finance has plotted (don't ask me why) how the popularity of Google searches for Boris Johnson has tracked the fortunes of sterling since 2016. Says prof Milas: "Academic research has found that Google search activity predicts movements in financial markets. With this in mind, it is not surprising as the plot demonstrates that what Boris does/says is instantly and extensively discussed on the web and, to some extent, has an effect in moving sterling. "All this means that Boris Johnson has a further role to play for the future ups and downs of the sterling rate since he will most likely be in the race to succeed Mrs May and lead Brexit negotiations." Sterling is now 0.82% down against the dollar at $1.3053, dragged lower as the prospects for a swift agreement on Brexit faded. The pound was also 0.63% lower on the euro at €0.63%. "The stalemate over Brexit continues as parliament is indicating clearly what it doesn't want, but no clarity on what it wants," said Lee Hardman, a currency strategist at MUFG in London. In a sign of how nervous the currency markets have become, expectations of how much the pound will move in the coming weeks have climbed faster than bets on how volatile the pound will be over a year. British Airways has rejected claims its cabin air could be toxic. As we mentioned earlier, the Unite union is backing legal claims by some pilots and cabin crew who fear they work in a poisonous environment. Of the 51 cases Unite is supporting, 42 involve BA planes. "None of the substantial research conducted over many years into cabin air quality has shown that exposure to cabin air causes long-term ill health." She pointed to research commissioned by the ​regulator, the European Aviation Safety Agency, which she said concluded that the air quality on board aircraft was similar, or better, than that observed in normal indoor environments. 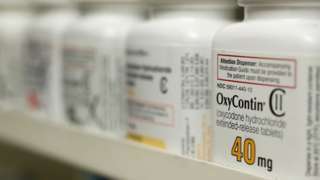 The wealthy dynasty is facing new charges it fraudulently transferred money from opioid-maker Purdue. Birgitte Bonnesen, chief executive of Swedbank until this morning, has now been removed as chair of the Swedish Bankers' Association. Her departure from Swedbank was announced just before the bank's annual general meeting began amid allegations linking it to a money laundering scandal in the Baltics. Per Bolund, Sweden's financial markets minister, told Swedish TV4: "I am outraged over how badly Swedbank has handled this matter". "They should have cooperated with authorities and instead they have done the complete opposite and that is completely unacceptable. It puts both confidence in Swedbank and the whole financial system at risk - and Sweden's reputation," he said. The bank said earlier that it believed it had been honest with authorities looking into money laundering allegations. Re. the toxic air cases (see previous posts) being brought against five airlines by pilots and cabin crew. Unite, which is backing the move, has broken down the cases by airline. It was another good day for Ocado shares, up 5.34% and continuing their strong run over the past couple of weeks. The strong rise helped the FTSE 100 achieve a 0.56% rise to 7,234.3 points. Easyjet, down 3.37% and National Grid, 3.3% lower, were the main drag on the index. The FTSE 250 closed just 0.08% up at 18,908.6. We mentioned earlier that five airlines face legal action from 51 pilots and cabin over toxic air. Easyjet, one of the airlines, has issued a statement, pointing out that only four of the 51 cases refer to the airline. “EasyJet operates one of the world's most modern fleets and our aircraft are fully compliant with the latest standards in terms of air quality and air-conditioning," the airline says. “EasyJet takes any health concerns raised by its crew seriously however aviation regulators and manufacturers around the world have looked at this issue and found no proof that long term health issues arise from cabin air quality. 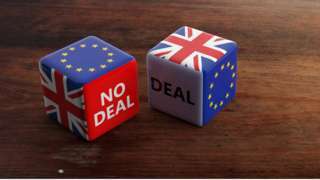 Vice-chair of the NI Food and Drink Association said there is "no good outcome" from a no-deal scenario. Four airlines are offering rescue fares for Wow passengers including Icelandair, EasyJet, Norwegian and Wizz air. More information on this has been posted on the webpage of the Icelandic Transport Authority, www.icetra.is along with further information on passenger rights. Icelandic authorities will continue to monitor the availability of rescue fares for WOW passengers scheduled to travel over the next few days. Howard Beckett, assistant general secretary for legal services at Britain's biggest union, says: “Independent expert evidence concludes that air on board jet planes can contain a toxic mix of chemicals and compounds that potentially damage the nervous system and may lead to chronic irreversible health problems in susceptible individuals. “The evidence begs the question how many more must be put at risk before the airline industry cleans its act up?" He said Unite "will use every avenue" to get airlines to improve air quality. “It may result in additional financial cost to industry, but that cost bears no resemblance to the value of cabin crew health and safety,” Mr Beckett said.